I have started learning and developing apps in SAPUI5, few months back. While developing few applications I have learnt few things, which I would like to share. These learnings may not be new or interesting but these are part of my learning path towards development my applications, hence I would like to share. Hope they will be helpful to someone. Little Background on the Requirement: Few of my colleagues have developed a Shop Floor application. 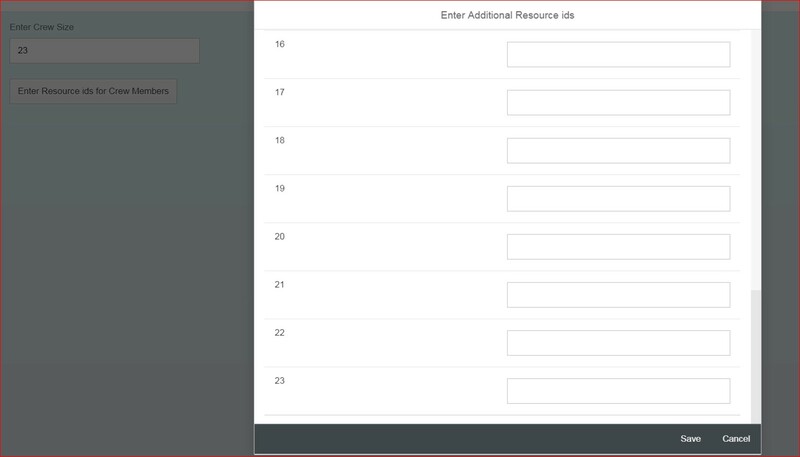 The application has ability to accept single Resource id and crew size of the resources to work on an activity. With this, the application has features to monitor the overall activity. After few days, we have realized that we have missed a feature to accept resource ids for rest of the crew. Thus, the requirement for a view, which can accept multiple resource ids based on crew size came into picture. 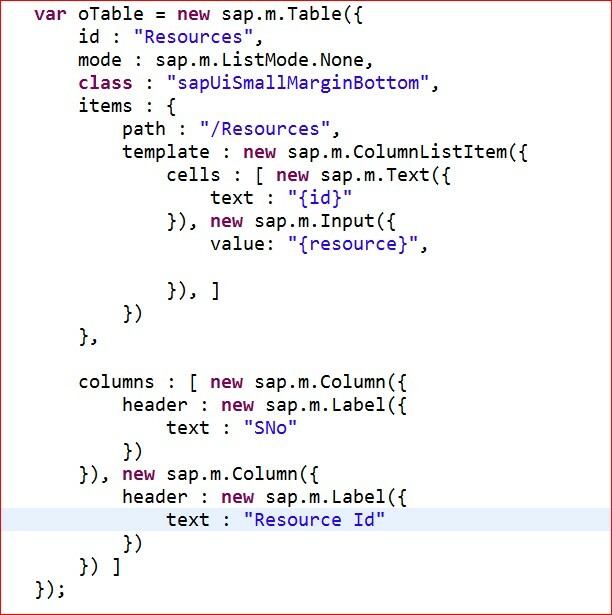 a) Declare a Table with template as mentioned below. Save button is to save data, then close the popup and Cancel button is to close the pop up. 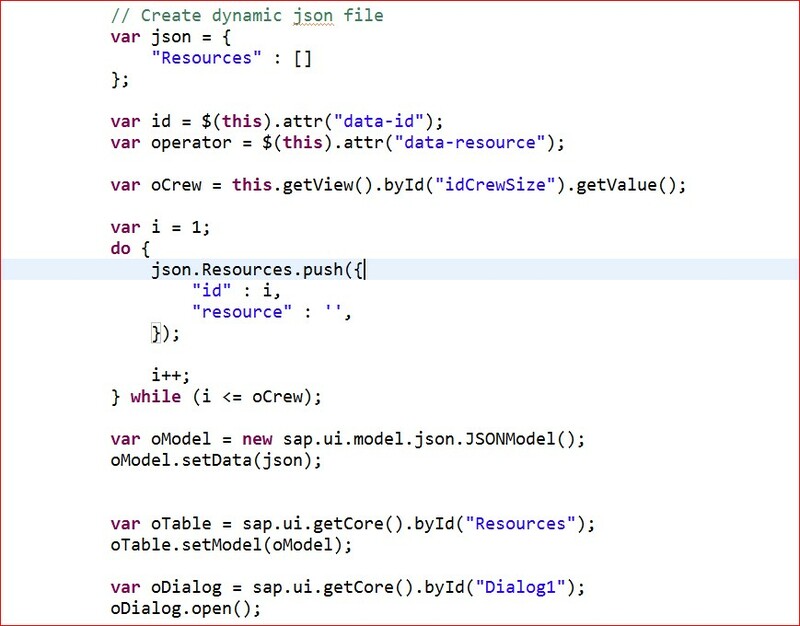 On Pressing Save button, we can get values entered in Resource Ids either by following oBinding or oModel. 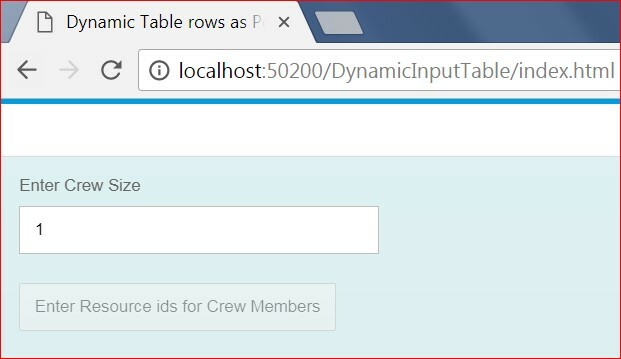 Conclusion – Dynamic Input enabled Table with predefined template can be done using above method. If we use fragment instead of JS declarations then the architecture would have been better. 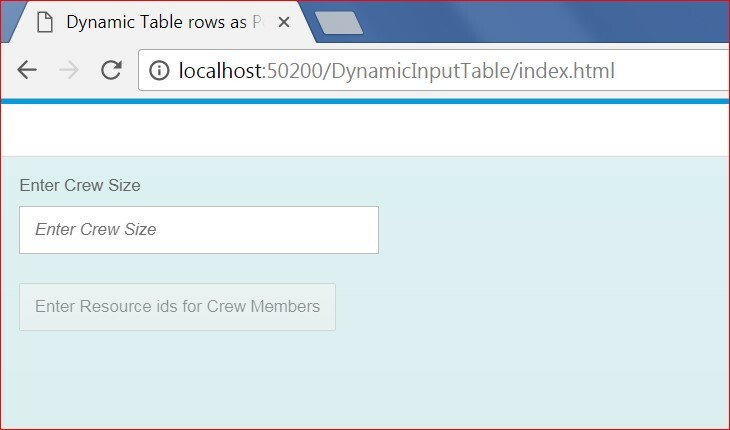 Thank you for the post, helpful for the new SAP UI5 learners. Hope to see many learnings post from you.